Group Discussion Ideas > Political GD Topics > Is China a threat to India? India is importing Chinese goods in large amounts. These products are cheaper than Indian ones, which is a threat to Indian manufacturers. China-Pakistan Economic corridor passes through India’s territory, without the permission of India. 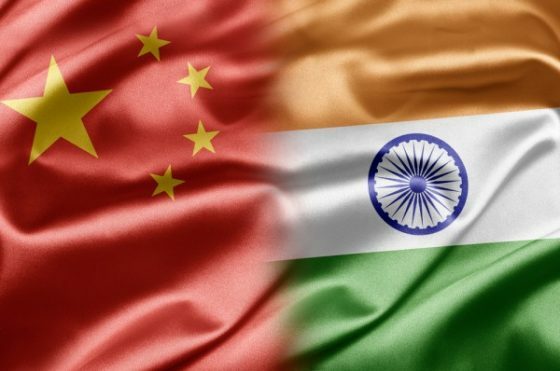 China is maintaining good relations with India’s neighbors to isolate India. For example, China is developing its rail and roadways to Tibet and Nepal under Sino-Nepal friendship treaty, which pose as security threat to India. India has border disputes with China at Arunanchal Pradesh, Aksai Chin and Sikkim. China’s aggressiveness is causing a lot of trouble to India as well as Indians living in these disputed areas. China is devaluing its currency. It is a threat to not just India but many other countries, which are importing Chinese goods. Because with less costs, Indian traders are more likely to increase their imports leading to reduction of prices, i.e. deflation. Chinese software professionals are biggest competition to Indian software professionals working in Foreign countries, especially in USA and Europe. China is turning into competition to India in exporting some goods to other countries. Recently China has started exporting its manufacturing goods to United Kingdom by train to reduce its cost of export and gave a tough competition to India. With its good ties with Pakistan, China can cause any kind of damage to India by funding nuclear tests and terrorist groups there. China is opposing India’s entry into NSG (Nuclear Suppliers Group), though many other countries are in favor of India. China is being aggressive in its operations in the Indian ocean, which is a potential threat to India’s security. Amid globalization, every influential country tries to become superpower. So, to sustain in this competition, it is inevitable for China to be aggressive towards its competitive countries. Though there are few disputes, both India and China are maintaining good diplomatic relations. These days manufacturers of India are giving tough competition to Chinese goods. ‘Make in India’ project also helps in this issue. Though there are security threats, India is in a good position to defend itself. With good ties and agreements with Russia and France, India is strengthening its Defense sector. China is acting as a threat to India sometimes, but India is able to defend herself. Though there are disputes between India and China, these two neighbors are maintaining good diplomatic relations. There are bilateral trade relations and joint ventures too between India and China. Very nice explaination bro ….if u tell us more topics it would help us ….